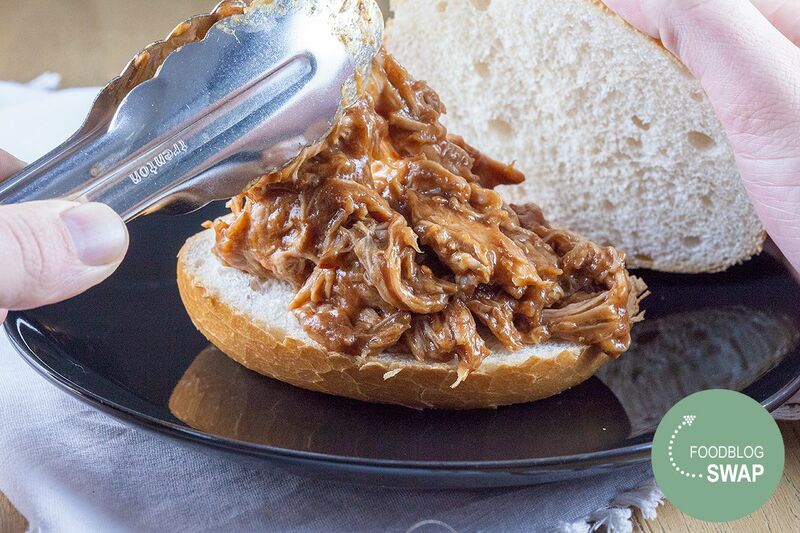 Our version of a sweet, salty and a little bit spicy pulled pork sandwich. Recipe for 4 people, using a slow cooker it's ready in 5 hours. PLACE the pork loin roast into the slow cooker. CRUSH the garlic using the chef’s knife and cutting board. ADD into the large bowl. 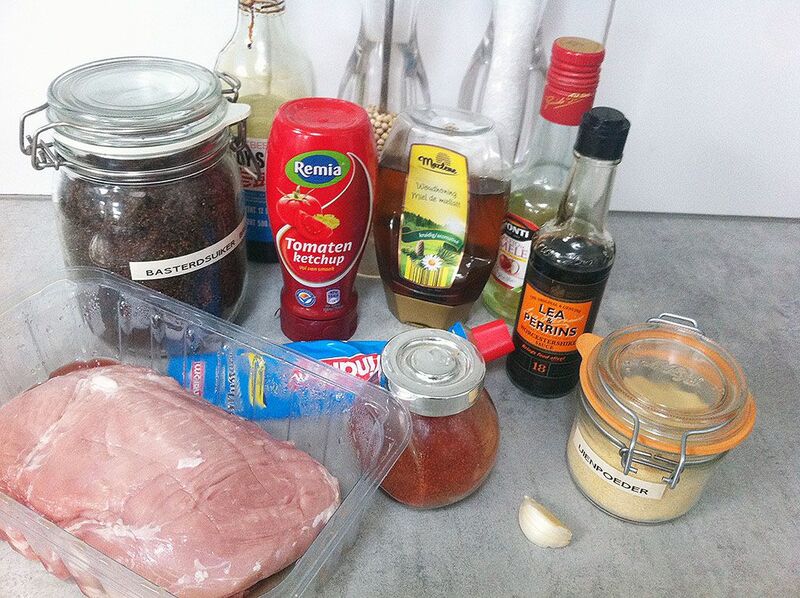 WHISK together the remaining ingredients (aside from the bun of course!) in the large bowl using a whisk. POUR the mixture over the pork loin roast. It might seem like a long time, but you actually don’t have to spend time in the kitchen. All you have to do is to let the slow cooker do it’s work. SLOW-COOK the meat for 4.5 to 5 hours using the highest setting. When done, remove the pork loin roast from the slow cooker and tear the meat apart using two forks. 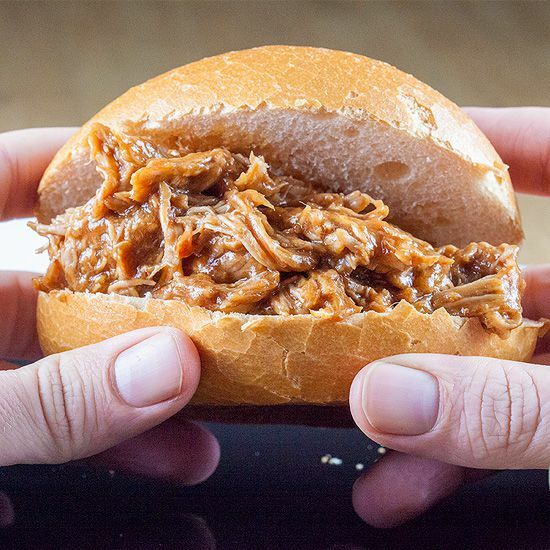 PLACE the meat into a bowl and pour over the left-over sauce from the slow cooker and mix well with the meat, this will bring that extra flavor into the pulled pork. Have a taste, and decide whether you want to add in more freshly ground salt and pepper to liking. 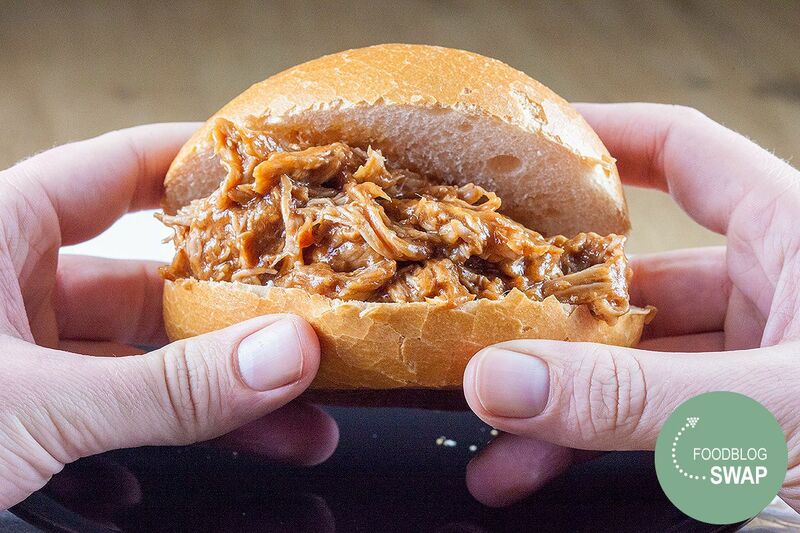 SLICE the bun in half and add in the pulled pork in between.